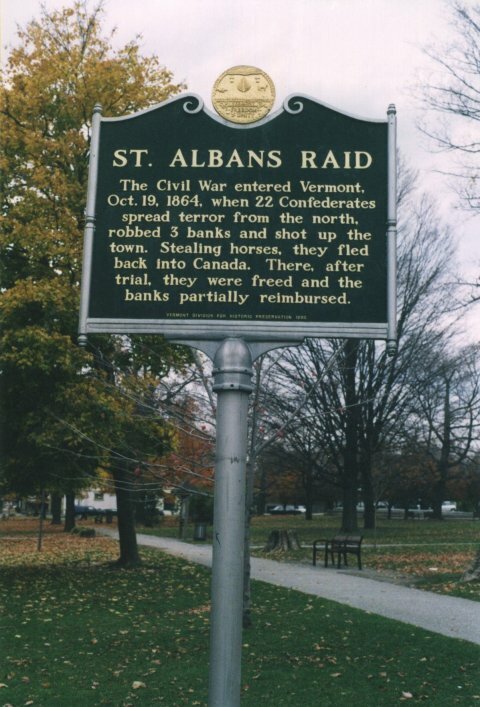 On Thursday morning last, the good people of this village and vicinity were startled by a summons emanating from the adjutant-general of the State, calling upon the arms-bearing citizens to report immediately for duty; that the State had been invaded by land pirates from the neighboring provinces; that the village of St. Albans had been sacked, citizens murdered in cold blood, banks robbed of an immense amount of treasure, and all the crimes of the highwayman, the robber, and the incendiary committed with the bords of our gallant State, and within a Sabbah-day's journey of our quiet and flourishing village. - Newport News, October 27, 1864. Photograph courtesy of Peter Flood.